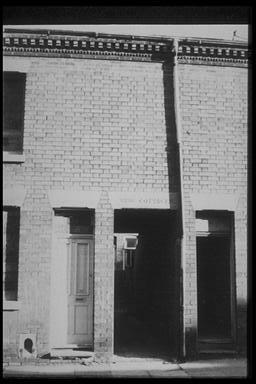 Houses nos; 16-18 Flint Street. The centre entrance way is the entry for access to Nos; 1-4 Wing Cottages. Photographed 1970. 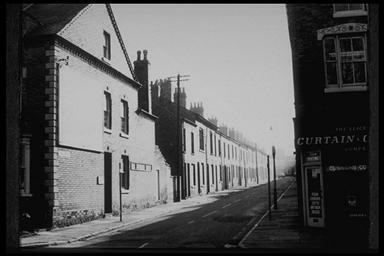 Houses nos; 2-12 Flint Street. Photographed 1970. 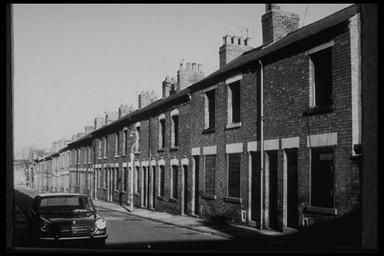 Houses nos; 4-64 Flint Street. Photographed 1970. 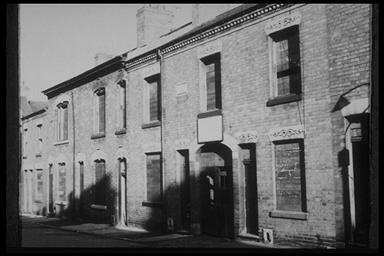 Houses nos; 2-64 Flint Street, photographed from Humberstone Road 1970.